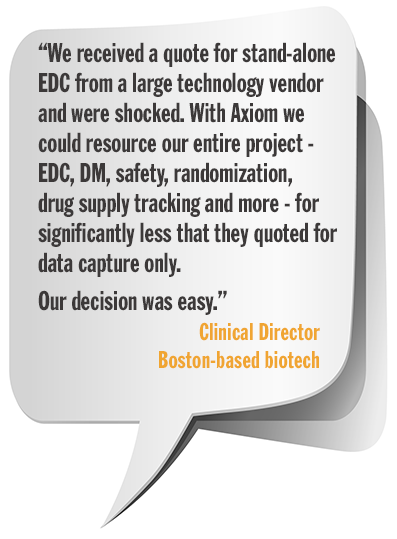 Axiom regularly assists clients in moving existing clinical studies or registries from EDC platforms where the technology is no longer meeting the expectations and needs of the sponsor or sites. Connect with Axiom to discuss a migration if your study is suffering from EDC/DM challenges. 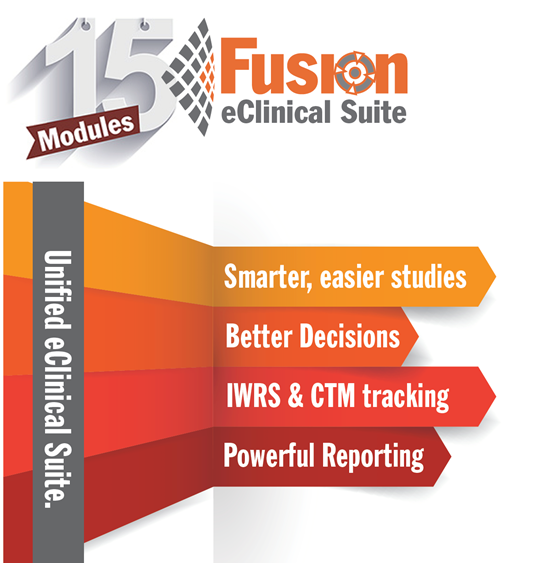 Axiom’s Fusion eClinical Suite makes complex study and management tasks easier to manage. Real-time project management and clinical reports in two clicks. Randomize your subjects. 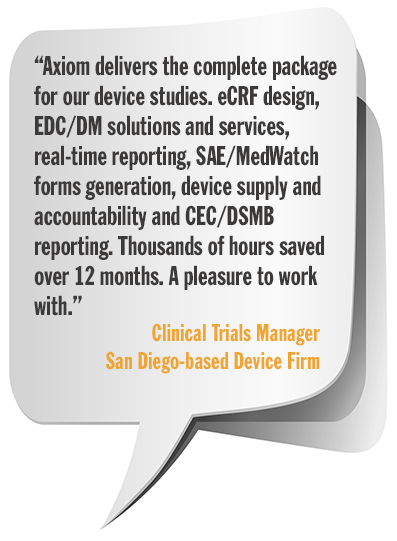 Centralized drug/device supply management. Issue payments directly from Fusion. Manage AEs & SAEs, MedWatch and so much more. Smart, intuitive eClinical technology and services with premium features, quality engineering, exceptional pricing and fanatical customer service for small to medium life sciences companies. With Axiom as your partner, we let you focus on the research, not the technology needed to conduct it. 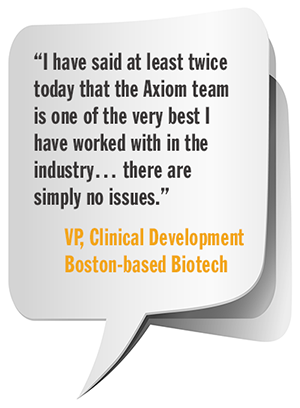 Axiom’s Fusion eClinical Suite has been the result of enormous energy from smart, dedicated team members delivering eClinical solutions that are designed to meet the needs, challenges and goals of small to medium pharma, biotech, device and CRO companies. At Axiom, we never stop innovating our solutions or services and it shows in the day-to-day ease of use of our eClinical tools. No one likes surprises, particularly when it comes to cost. With Axiom, you can have unified EDC, data management and more than 15 integrated modules at a fraction of the cost of larger competitors. We offer unlimited changes during the database build, no per user/seat fees, and a services credit that can be applied to changes after the study is underway. 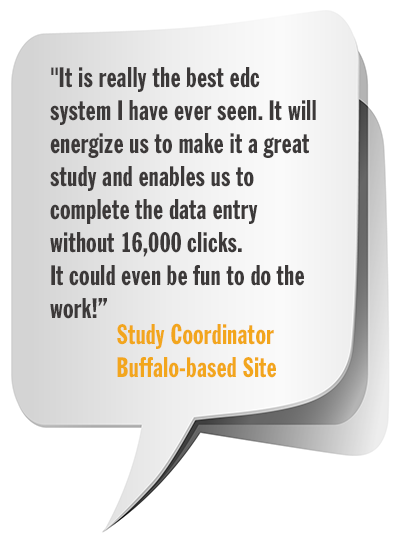 Great support is linked to high-quality data. Axiom’s Customer Care team is extremely focused on ensuring that every single user in the study chain is supported throughout the entire study. 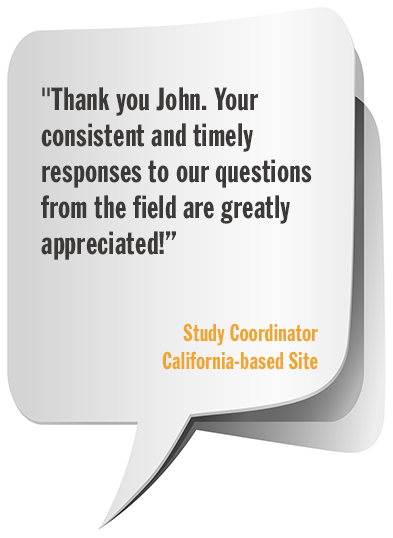 Prompt, helpful answers to end-user questions means that the study moves along quickly and efficiently. At Axiom, end users matter and we build our tools with you in mind.